Advanced XML Converter is a simple-for-using utility for fast converting XML files into HTML, CSV, SQL, XLS and DBF formats. The tool processes a given XML file and groups tags by name. You can select the elements you need and see the preview of an output file as well as adjust its properties. 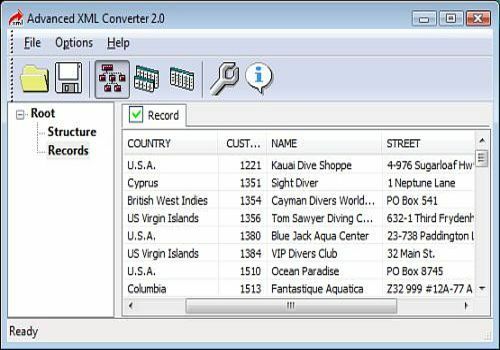 If you need to research some data stored in the XML file, then use Advanced XML Converter to have your data arranged in the tabular style.